Hotel Cala Bona-Mar Blava v Menorca, Španělsko: Zarezervujte nyní! 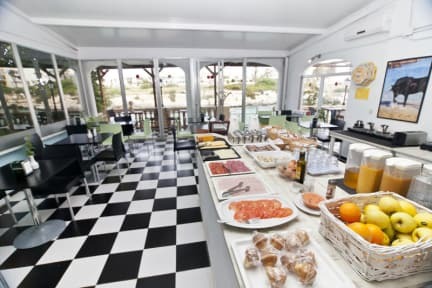 Hotel placed only 500 meters from the city center, on the sea front and direct access to the beach trough the hotel sea front-terrace. The complex have two buildings: Cala Bona/Mar Blava, the clients can be accommodated in either of both buildings. The two hotels have only two floors and are in a quiet location ideal for walking or cycling on the sea promenade.